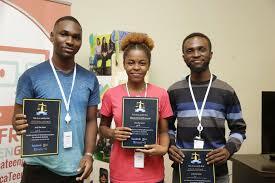 After 29-hours of coding marathon, three students of the University of Lagos (UNILAG) have developed the software to unmask human traffickers, track, and rescue and rehabilitate victims while also creating awareness about the odious industry. The students emerged winners of #Hackathon4Justice event organised in Lagos between March 22 and 23 by the United Nations Office on Drugs and Crime (UNODC) in partnership with Facebook and Africa TeenGeeks which was designed to spark creativity in young people while pushing their coding capabilities. The goal of the #Hackathon was for participants to leverage technology to find solutions to rule of law challenges in the areas of corruption, integrity and ethics; crime prevention and criminal justice; organised crime; human trafficking and terrorism and violent extremism. Beyond educating young people about the global challenges to the rule of law, the Education for Justice (E4J) also seeks to inspire them to be part of their solution and become positive agents of change in their societies. This goal is only attainable by giving youth a say in matters related to crime, justice and the rule of law. The trio of David Popoola, Eyitayo Ogunbiyi and Chukwudumebi Onwuli of System Engineering and Computer Engineering departments of UNILAG led the pack of upcoming professionals with their web application design that helps both trafficked victims and their loved ones learn about human trafficking and access to tools that can potentially save them. Tagged ‘Let's Fight Trafficking’ (or ‘LFT’ for short), the key features of the product include an e-learning planning platform to help educate people on human trafficking; a facial recognition system that matches feed from webcams and other images to see if there already exists a reported case with a similar image in the database; a portal for victim's close friends to file reports about trafficking cases in their area and a heat map, generated from report data to let users know where trafficking is most prevalent and take preventive measures. The winners are expected to proceed to Global #Hackathon4Justice event, to be held at the Google Headquarters in Silicon Valley, California, United States, in August this year where they will participate as mentors. 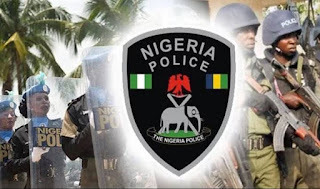 The runners-up were four students from Ladoke Akintola University of Technology, Ogbomoso who designed ‘Athena’, a mobile application that allows people to report crime incidents and gain information about their rights. People can also report emergencies with just few clicks, and the application automatically detects the location of the user and composes a report. It also provides anonymity and protects the identity of whistle-blowers. Out of 400 applications received from university students across Nigeria, over 50 undergraduates from Caleb University, Covenant University, Federal University of Technology, Akure, Ladoke Akintola University of Technology, University of Lagos, Obafemi Awolowo University, University of Benin, Babcock University, as well as Yaba College of Technology participated in the event. On the ground to inspire and mentor the young coders were Iyinoluwa Samuel Aboyeji, Co-founder of Nigerian startup Andela and founder of Flutterwave and a number of software engineers from Facebook. In addition, UNODC staff from Nigeria and Headquarters in Vienna provided support on the thematic issues of the #Hackathon.